Brits who venture ‘across the Pond’ to ski in North America tend to fall in love – with both the skiing and the overall holiday experience. There’s the draw of the ‘big country’ when you fly west to find open roads and then open ski slopes waiting for you. It may be a cliché but everything seems bigger too – the rental car, the ski lift, the meals when you dine out. Even the cups of coffee are bigger, although sometimes that’s not such a good thing. Another thing North America has, most seasons at least, is snow. Lots and lots of light fluffy powder snow, which again is a cause of North American ski addiction among many Brits. 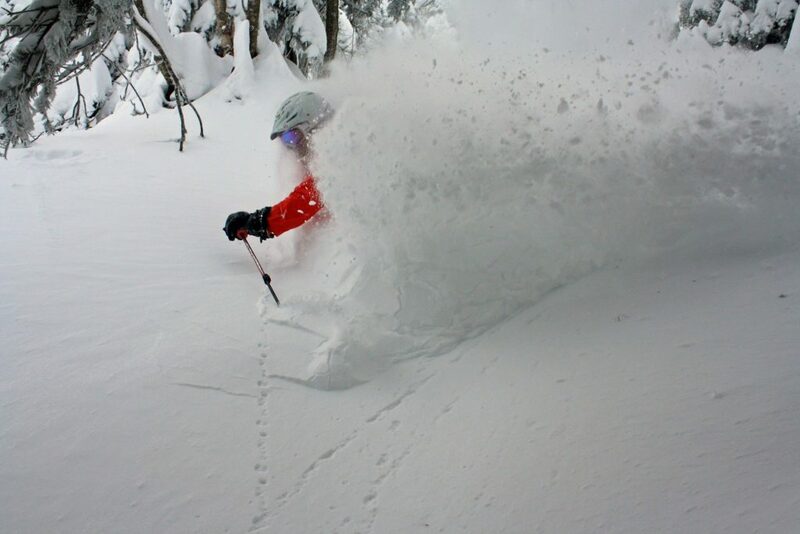 The Western US and Canadian provinces of BC and Alberta are all famous for their light, floaty powder that really transforms the ski experience. The only downside of skiing North America is that it can cost a lot, especially since the pound fell in value against both the US and, to a lesser degree, Canadian dollars. This fall has been mostly blamed on Brexit and it certainly hit a new low when the Brexit vote happened but really it had been falling for a while before and hasn’t actually declined much more over the past year or so, in fact, if anything, it has recovered a little (at least, at time of writing!). The good news is that, well aware of the increased bill for Brits heading West, our caring powder providers – both British travel companies and the resorts themselves in the USA – have been working hard to cut prices to help get us over there. And we’ve had one bit of luck too: increasing competition on transatlantic routes has driven down costs of the airfare element of the ski holiday, so prices are, if anything, better than 12 months ago (see US Ski Holidays from the UK Can Be Cheaper Next Season below). 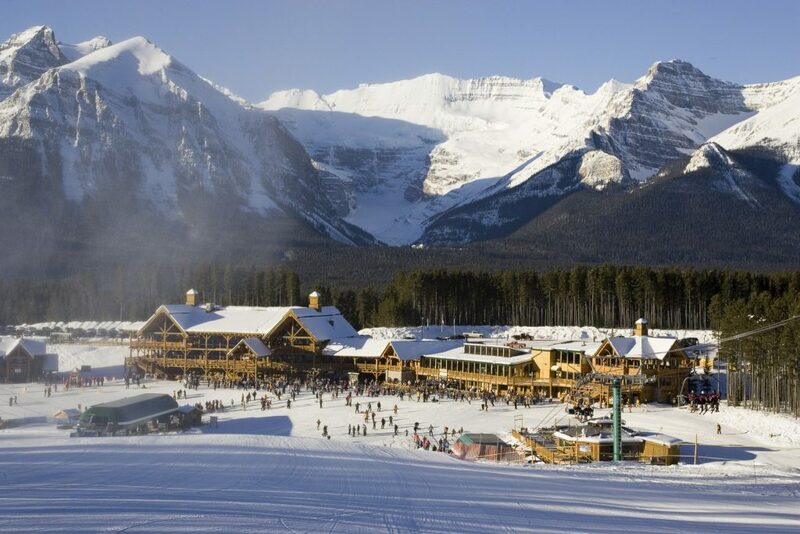 Canada and the USA are big, big, big and while we may have heard of half a dozen North American resorts like Whistler, Vail, Aspen and Stowe there are in fact nearly 1,000 ski centres to choose from across the continent spread across around 50 US states and Canadian provinces and six time zones. So, wherever you go in North America you’re rarely that far from a ski lift. The US North East Coast – this includes the area known as New England and ski states including New Hampshire, New York, Maine and Vermont. Most of the ski areas here are smaller than out west, with lots of snowmaking and a great atmosphere. They’re also only five or six hours behind the UK so jet lag is less of a factor. Famous resorts here include historic Stowe, where the Von Trapps (of The Sound of Music fame) eventually ended up; Lake Placid, which has hosted two Winter Olympics; Smugglers Notch, famously one of the most child-friendly resorts on earth; and Killington, biggest in the East. The US West – keep flying west over the plains and you come to the Rockies with more coastal mountains beyond and the biggest ski areas with the best snow in the USA. The most famous ski states are Colorado (Vail, Aspen, Breckenridge, Steamboat and dozens more), Utah (Park City, Snowbird, Alta) and California (Mammoth, Heavenly, Squaw Valley) but you also have great resorts like Jackson Hole in Wyoming, Taos in New Mexico, Mt Bachelor in Oregon, Sun Valley in Idaho and Big Sky in Montana. The list goes on. 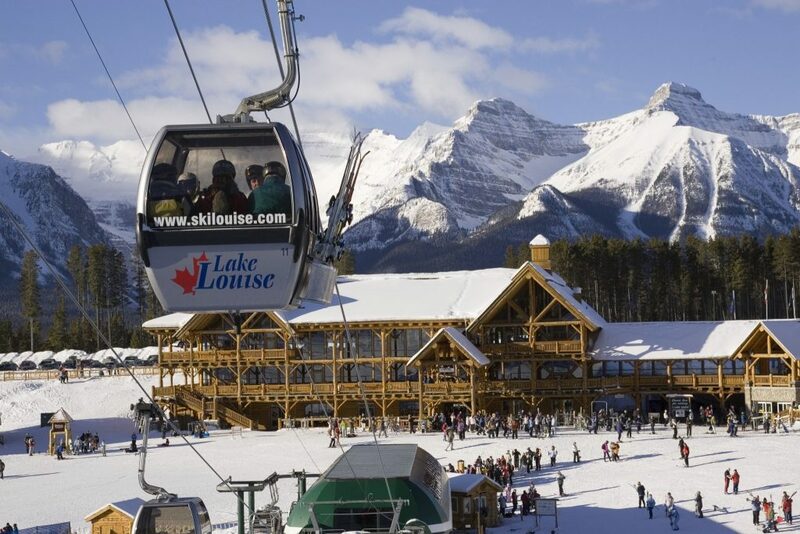 Quebec – there are several smaller ski provinces in Eastern Canada but the winter sports scene is dominated by Quebec, home to nearly 100 ski areas including world-famous Tremblant (an easy transfer from Montreal airport) and Mont Ste Anne. This region provides a very different North American ski experience as French is the main language and cultural heritage and influence. 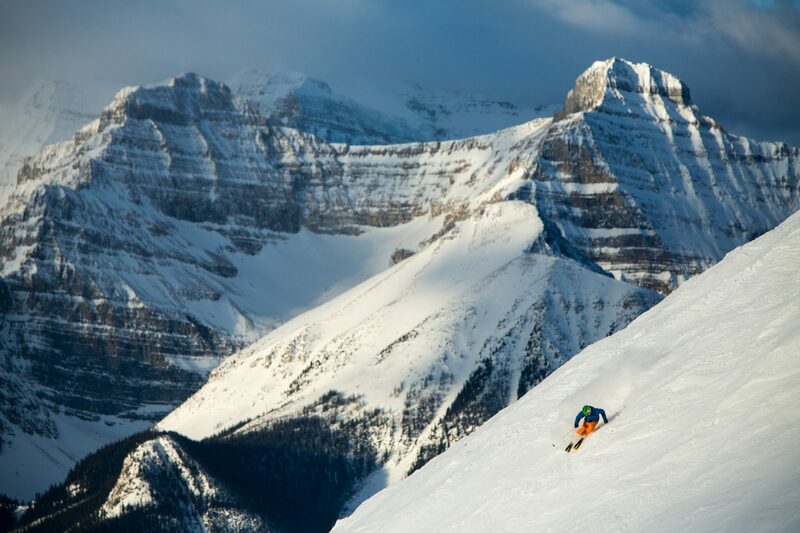 Canada’s West – predominantly the provinces of Alberta and British Columbia, the former home to arguably the most spectacular mountain terrain in North America (if not the world) around Banff and Lake Louise, with BC home to four resorts with the four biggest lift-served verticals in North America as well as the continent’s biggest ski area and the western world’s most recent Winter Olympic host (and remaining so until at least 2026), Whistler Blackcomb. A British tour operator is claiming that, despite the current low value of the pound against the US dollar, ski holiday prices from the UK to the USA can be cheaper next winter than last, because of the entry of a low-cost transatlantic airline option. Tour operator Ski Safari is selling an identical 14-night package to Copper Mountain in Colorado next season for £150 less than the price last season for customers who opt to fly on the new Norwegian airline service from Gatwick to Denver. The new Gatwick to Denver service launches this autumn with two flights weekly (Tuesdays and Saturdays) with flight DY7171 to Denver departing 9.50am, arriving 12.40pm, and DY7172 from Denver to London Gatwick departing 2.40pm, arriving 6.40am the next day. Norwegian will be operating Boeing 787-9 planes featuring 35 premium economy seats, and 309 economy seats. The Ski Safari package is based on a 14-night holiday for two adults departing 20 January 2018 (compared with the identical package last season departing 21 January 2017) and (at time of writing) will cost £1,925pp next winter compared to £2,075 last winter, staying in the central Copper Mountain Condos on a room-only basis with the package including transfers. To take advantage of current lower prices, Ski Safari recommend skiers book as soon as possible to lock in savings. The first of what are being promoted as the world’s first ski-in/ski-out tree houses has opened in Montana in advance of the next ski season. Operator Snow Bear Chalets aims to have at least three luxurious ‘tree house’ chalets available to rent by the slopes of Whitefish Mountain Resort in north-western Montana. The tree houses are being built around 7.5 metres above the forest floor, but only a few meters from the nearest ski runs with views into the mountains of nearby Glacier National Park. Breckenridge in Colorado, the most popular US destination for Brits and one of the first to open each winter (this year on November 10, all being well), will unveil the new Peak 10 Falcon SuperChair, upgraded from a quad to a six-seater, this winter. Breck’s Peak 10 is renowned for its views, steep runs, challenging mogul fields and tree trails and is a favourite local spot for advanced and expert skiers and snowboarders. The new lift expands Peak 10’s uphill capacity by 25% for the 2017/18 ski season. Arizona Snowbowl is to add its third new chairlift in three successive ski seasons. The new fixed-grip quad chairlift will replace the current Hart Prairie Riblet double chairlift, doubling capacity and increasing uplift speed thanks to conveyor loading. The other two new lifts added were the new Humphreys quad chairlift in 2015 and the Grand Canyon Express high-speed six-person lift last winter. Whistler is to be home to Canada’s first ‘pod’ hotel when the new Pangea Pod Hotel, currently under construction at North America’s biggest ski area, opens towards the end of next season. Pangea will feature a series of custom suites housing a total of 88 private sleeping pods. Each boutique pod will be lined in wood, containing a memory foam double mattress. They’ll also be equipped with individually controlled LED lights, multiple charging points (including USB ports) and an integrated fan for ventilation and white noise. Vail Mountain is installing a six-seater chairlift as an upgrade to the Northwoods Express (Chair 11), replacing what was one of the world’s first detachable quad chairlifts when it was installed back in 1985. Maine’s Sunday River is spending $2.1 million replacing an old fixed-grip triple chairlift at Spruce Peak with a new quad, which will cut the journey time by three minutes. Alta is removing its old Supreme and Cecret lifts and replacing them with the longer Supreme detachable quad lift that extends much farther down the mountain. Copper Mountain are upgrading the Kokomo triple chairlift to a high-speed quad that will extend 60 metres further downhill than the old lift to provide better access from Copper’s West Village. What Are the New Holiday Options? Crystal Ski are offering Heavenly, in California, as a new resort for winter 2017/18. This resort sits comfortably on the state line between California and Nevada and offers skiers and boarders a unique opportunity to ski two US states in one day, on top of experiencing the lively, flashy casino atmosphere that Nevada is famous for. South Lake Tahoe is located at the bottom of the mountain on the shores of the glorious Lake Tahoe (the highest lake in the USA). Ski Independence have reintroduced Revelstoke to their programme, a quirky resort in central BC that posts the biggest lift-served vertical in North America at 1,713m. Regarded as one of Canada’s best powder snow destinations, Ski Independence are also promoting road trips and heli-skiing in North America. Frontier Ski have seen an increase in skiers wanting a ‘multi-centre’ ski vacation so that they can explore different resorts, according to founder Sandra Potter. Canada is ideally placed to offer this as there are many resorts within easy reach of each other offering very different terrain and atmosphere. 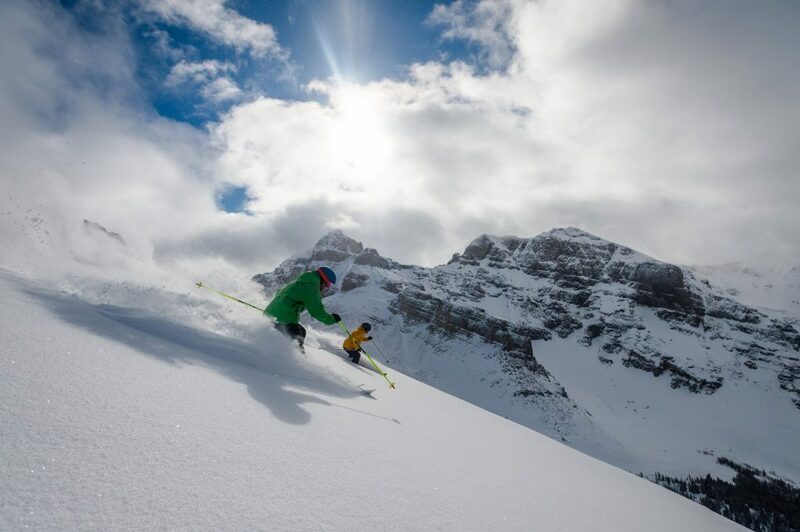 For instance, Frontier’s Powder Explorer, with prices starting from £1,699pp, allows you to ski in the glories of Banff National Park, the challenging resort of Kicking Horse with its ski-in/ski-out convenience, and Panorama with extensive terrain and the chance to heli-ski right from the resort. 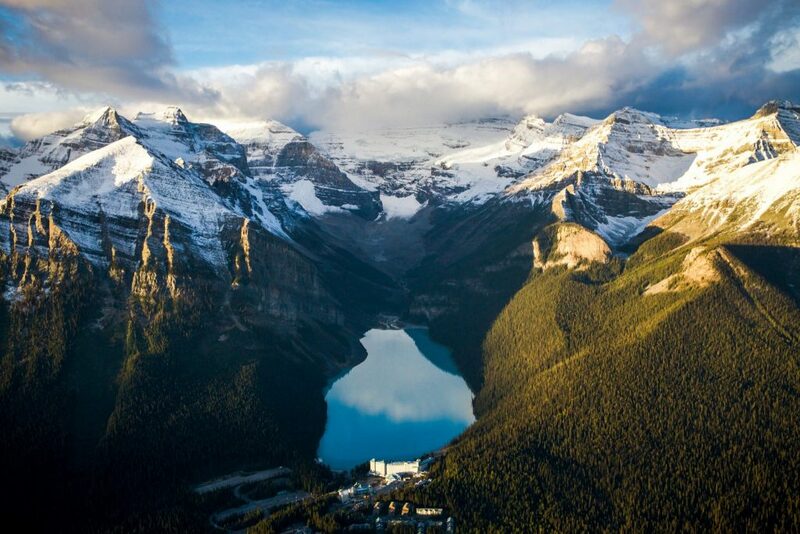 From Panorama, clients drive their SUVs along the Columbia Valley to Kimberly, which boasts some of the most stunning views in the whole of the Rockies, and finish their holiday in the renowned snowbowls of Fernie. Inghams: inghams.co.uk/ski-holidays/articles/skiing-in-north-america; Ski Safari: skisafari.com; Ski Solutions: skisolutions.com/north-america-ski-deals; Canadian Affair: canadianaffair.com/holidays/canada/ski-holidays; Scott Dunn: scottdunn.com/luxury-holiday/ski-holidays/ski-north-america; Virgin Holidays: virginholidays.co.uk; and Ski World: skiworld.co.uk – who even offer holidays to the ski resort of Alyeska in Alaska. Competition has been hotting up again on ski flight routes to the US – increasing choice and driving down prices even with established carriers on routes where competition has been introduced. As mentioned above, Norwegian have just launched a new year-round service from Gatwick to Denver with fares well below previous levels on the route. In Canada, Air Transat have announced additional services between London and Vancouver, further increasing capacity on this route as demand increases too. Stopovers in Iceland are getting ever more popular too, with Iceland’s low-cost airline WOW Air adding ever more connections to the USA from Reykjavik (although all to the East Coast and Midwest so far). But Icelandair already operate to Denver from there, with connection services from Manchester, Belfast, Glasgow, Birmingham, Aberdeen or London (Heathrow and Gatwick). The good news is most airlines fly over Iceland anyway on their way across the Atlantic so it’s not like you’re going out of your way.